If you have any questions or comments, please get in touch by e-mailing us and we'll respond to you as soon as possible. 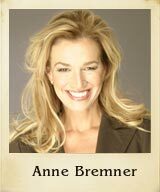 The purpose of this website is to inform clients and friends about Anne Bremner's work and legal services. It is not intended nor should it be used as a substitute for specific legal advice or opinions because legal counsel may be given only in regard to particular situations. You should contact a specific attorney of your choice to obtain advice with respect to any particular issue or problem. Use of and access to this website or any of the e-mail links contained within the site do not create an attorney-client relationship between Anne Bremner PC and the user or browser. All copyrightable text and material are Copyright 2017 Anne Bremner. All rights reserved. Permission is granted to download and print materials from this website for the purpose of viewing, reading, and retaining for reference. Any other copying, distribution, retransmission, or modification of information or materials on this site, whether in electronic or hard copy form, without the express prior written permission of Anne Bremner, is strictly prohibited.